The St. Louis Motor works by the concept of induction - inducing or creating an electrical current from mechanical energy and vise versa. As an electrical current runs through a wire, it creates a magnetic field. The bar magnets on the motor serve to attract and repel the induced magnetic field in the wire. As a result, the motor spins. 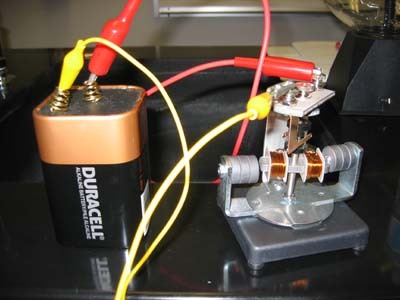 This is a conversion of electrical energy (from the battery) to mechanical energy (the motor moving). The beautiful thing about this motor is that it works in reverse too! 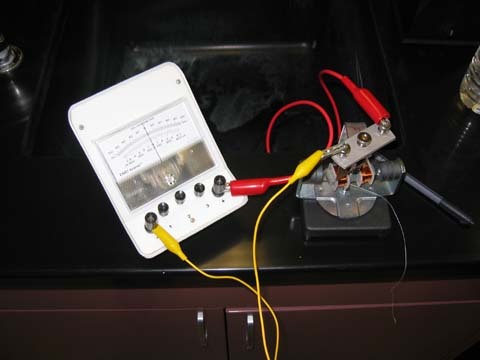 You can create an electrical current from the mechanical energy you create by moving the rotor. This simple demonstration is the basis for most of the electricity we use from powerplants (nuclear, hydroelectric, wind, etc.). 1. Attach the clips to the 6V battery and to the two posts of the St. Louis Motor. 2. The motor spins freely. Note the transformation of electrical energy (the battery) into mechanical energy (the motor spinning). 3. Disconnect the wires to the battery. Attach a galvanometer in the battery's place. 4. Attach a string or wire to the base of the motor. Roll it up like a yo-yo string. 5. 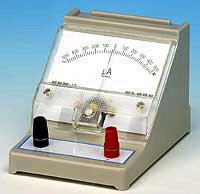 Pull the string while reading the galvanometer. Note the transformation of mechanical energy (the string you pulled) into electrical energy (the voltage measured by the galvenometer). *Due to the small size of the St. Louis Motor, this would be a difficult demonstration for large classes. Perhaps as a discovery lab activity, it would be more successful. 1. Each of the two clips are attached to the motor and to the 6V battery. The motor spins. 2. 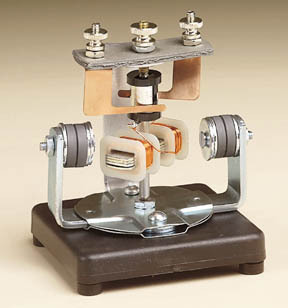 The galvanometer replaces the battery and the string is wound around the base of the motor. 3. When the string is pulled, the rotor turns around creating electrical energy which can be read by the galvenometer. 4. The obvious extension is the discussion of electricity generation in powerplants.